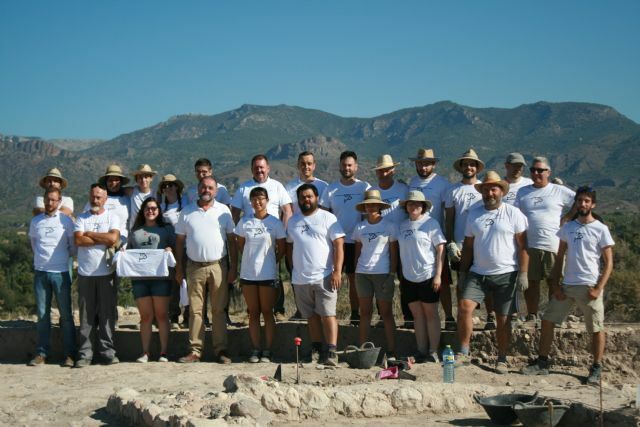 About twenty volunteers from different parts of the Region of Murcia participate during these days in the V Archaeological Work Field in the "Las Cabezuelas" field, organized by the "Kalathos" Association, which is celebrated until August 3, and that has the collaboration of the Youth Council of the City of Totana. 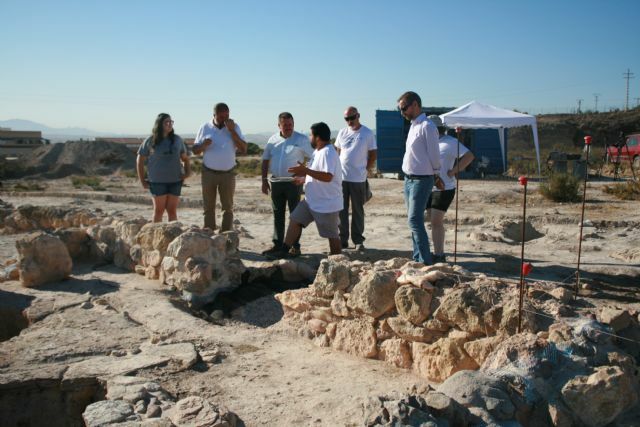 The mayor, Andrés García, accompanied by the first deputy mayor and head of Archaeological Sites, Juan José Cánovas, and the councilors of Youth and Urbanism, Inmaculada Blázquez and Carlos Ballester, visited, as in previous editions, this activity in order to know the field work that these young people have been doing since July 23. Totana City Council collaborates with the Association for the Cultural and Tourism Promotion of Totana "Kalathos" in the development of a new edition of the field of work before the need to enable the development of leisure time activities during the summer period aimed especially at young people . In this activity, framed within the program "Totana Verano'2018", combines an educational and training process that has youth participation in a project of scientific research and cultural interest for the municipality of Totana. The totanero Consistory collaborates to the extent of its possibilities, providing technical support necessary for the proper development of the activities derived from the project and contributes with a contribution of 2,000 euros to finance costs of materials, work of topography and drawing, maintenance for volunteers, among others. 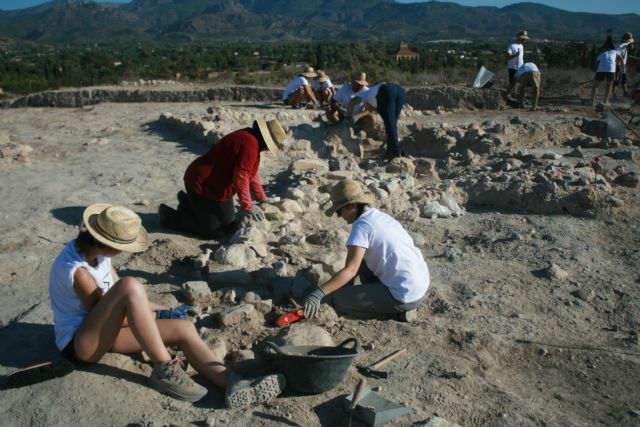 The volunteers are, in their majority, students of History and work under the archaeological direction of the totaneros José Antonio González Guerao, Verónica Carricondo Gázquez and the technician Juan Antonio Ramírez Ã�guila, with the pertinent permission of the General Direction of Cultural Assets. As they recalled, this site has been subjected to various actions, probably prospecting, which together with the only intervention, until 2014, which had been carried out, have led to the discovery of several sets of materials in various museums in the Region. . The site is known since ancient times and at the beginning of the 20th century, Rogelio de Inchaurrandieta, discoverer of La Bastida, talks about the importance of it. 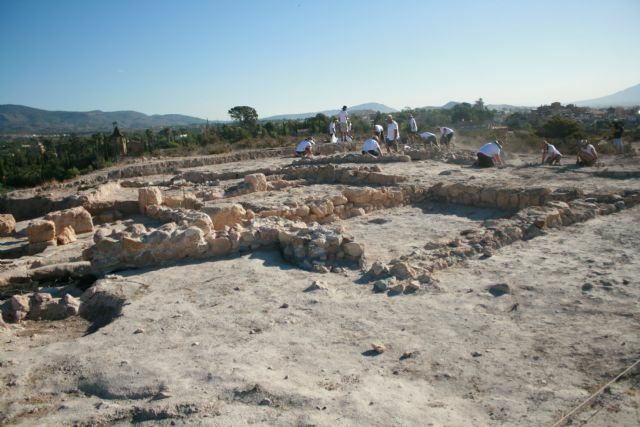 and similarly, material from this site is found in the Archaeological Museums of Murcia and Almeria. In the first intervention of the field of work undertaken in 2014, part of the proposed objectives were achieved, among which the recovery of information from the area excavated in the 1970s stood out, as well as continuing and completing with the interventions later. In this sense, it was possible to undertake two research campaigns in 2015 and 2016 and last year, focused mainly on consolidation and restoration work. This work of direct action in the site is intended to extend in this year 2018, as explained by its archaeological directors. In this case, the current planned campaign is intended primarily to focus on archaeological excavation work in areas where previous campaigns were pending structures or spaces to be defined, as well as their consolidation as far as possible, together with the works of topographic documentation of structures and field drawings. At the same time, work is being carried out on the washing and study of materials throughout the year in facilities provided by the City Council on several floors of the former Technological Craft Center (CTA) under a collaboration agreement with that association that entails research work and classification that goes beyond the fifteen days of the aforementioned field of work.